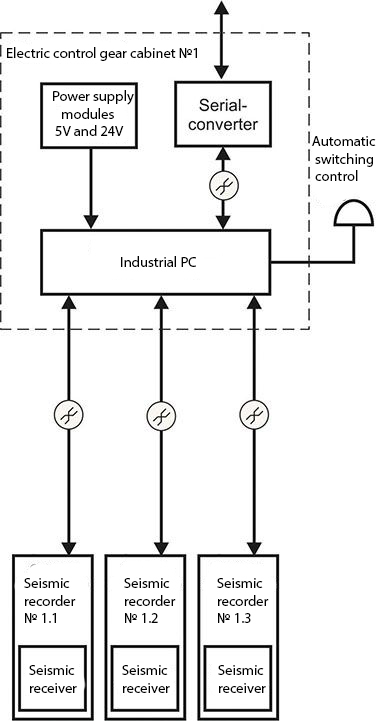 Seismic control system can be integrated into third-party systems via OPC and ModBus protocols as well as via DU. 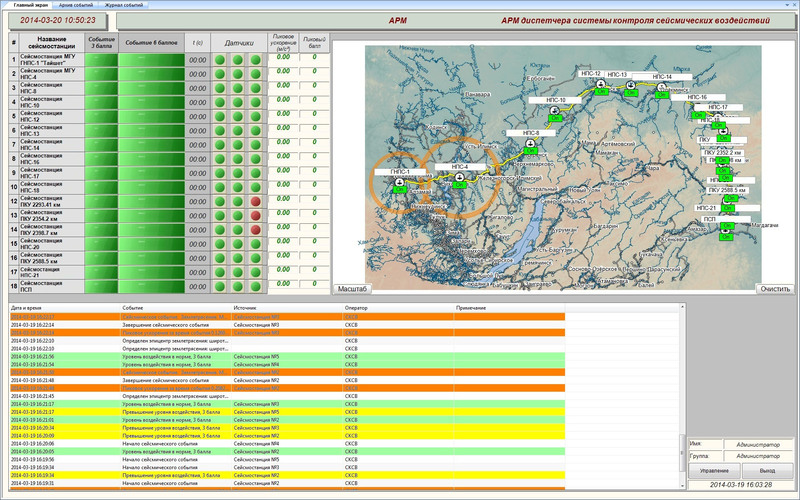 Each observation point is equipped with a seismic recorder (velocimeter or accelerometer). Acceleration signals by three space coordinates as well as power supply signal are transmitted from the seismic receiver to the seismic recorder input channels. 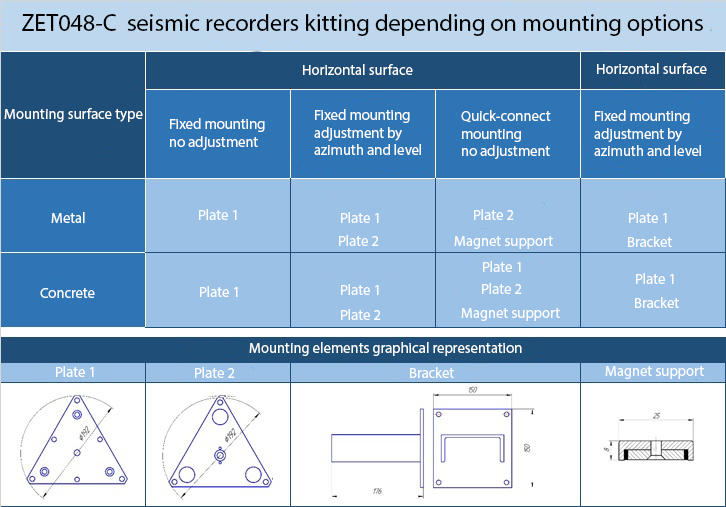 Seismic receivers can be external (version 1) as well as integrated into the seismic recorder (versions 2, 3, 4). 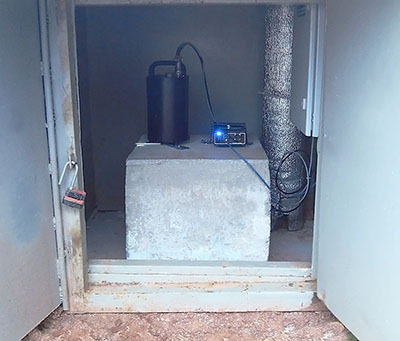 Seismic recorder performs integrated digital clocks synchronization in real-time mode using GPS or PTP as well as digital processing of analog signals and transfer of digitized values at the average level of signals processing via Ethernet, USB or WiFi. This level can be implemented as an industrial PC located at the controlled object (versions 1 and 2). 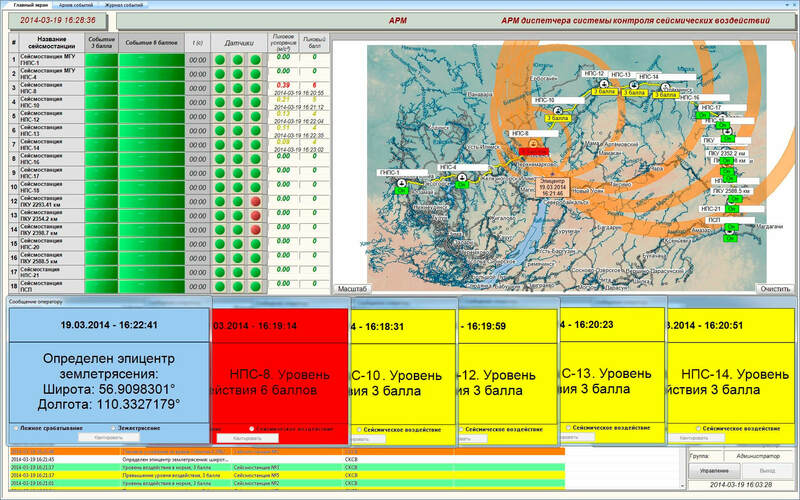 Besides the seismic recorders can be connected directly to the server (versions 3 and 4). 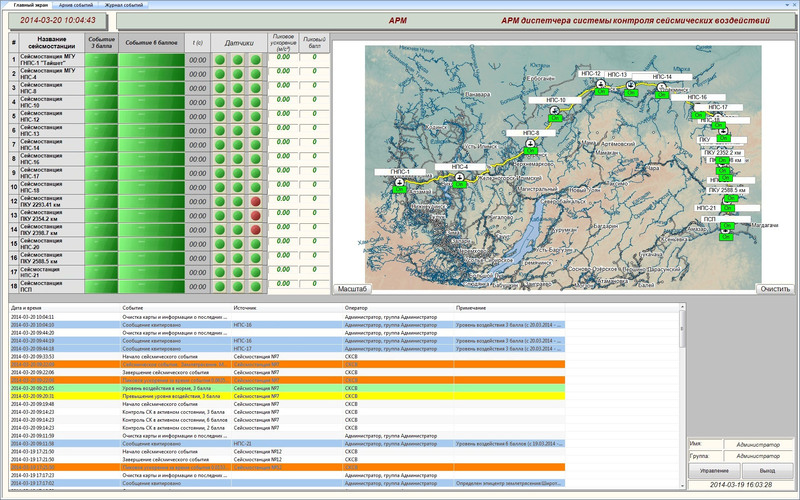 The data – events, states and/or constant data flow (16 kbps from each seismic receiver) is transmitted from the industrial PC or seismic recorder to the server through various communications channels. 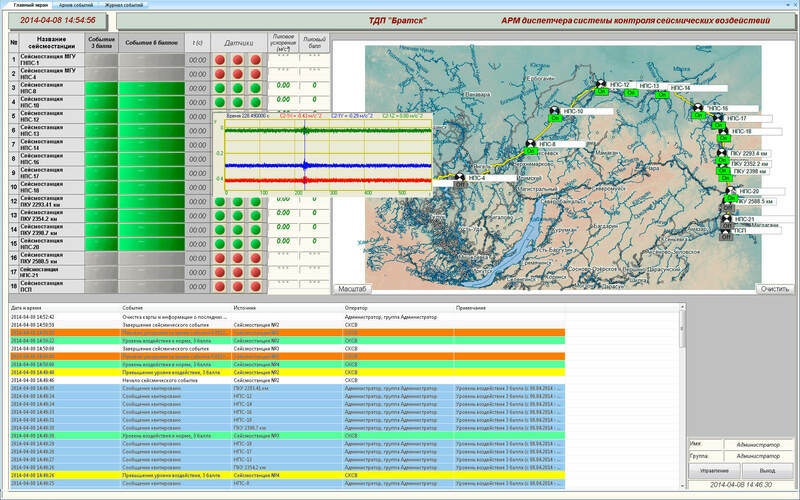 Seismic recorders offline versions can be equipped with solar panels and transfer the data via GSM/GPRS or WiMAX. When observation points are established, there are normally at least two seismic receivers with sensitive velocimeter and a broadband acceleration meter. 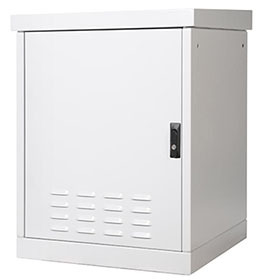 In the case, if a high operational security level is required, up to 6 acceleration meters can be installed. For the purpose of increasing the system reliability, one can install the industrial PC for preliminary data acquisition and processing. The processed data are more compact in volume if compared to the source data, hence, the data can be transferred via low-speed communication lines (IEC 60870-5-104, MODBUS RTU, dial-up modems, GSM/GPRS or as GSM/SMS notifications). group — industrial PC or one of the seismic stations is synchronized by GPS, while the remaining stations are synchronized by PTP via internet. In order to implement synchronization via PTP, there should be established a local network using copper or optical wire. ZET 048 seismic receivers and seismic recorders are installed in special containments and on a concrete foundation. 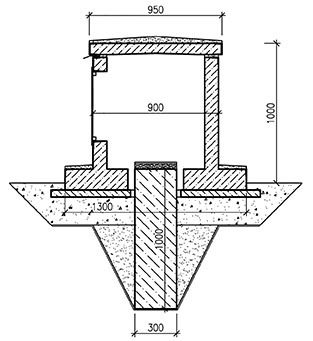 For installation in horizontal position one should use the element “Plate 1”. «Wafer 2» is to be used when it is necessary to have adjustment possibility for horizontal mounting – i.e. azimuth rotation (360°) and angle adjustment (within the limit of ±3°). For horizontal mounting one should use “Plate 1” together with “Mounting bracket” (U-piece min 12 mm with a welded plate with minimum 6 mm thickness). It is allowed to use U-piece for vertical surface mounting (U-piece min 12 mm) without a plate – in this case, the U-piece has to be welded directly to the controlled object. In the case of mounting on a sloping surface the U-piece edge to be welded to the surface should be cut at an angle allowing horizontal (within the limit of ±3°) positioning of the U-piece. 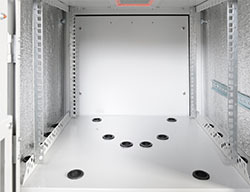 For the purpose of seismic recorder installation on the controlled objects, special cabinets can be used – the cabinet bottom should be detachable for the purpose of the sensor installation. 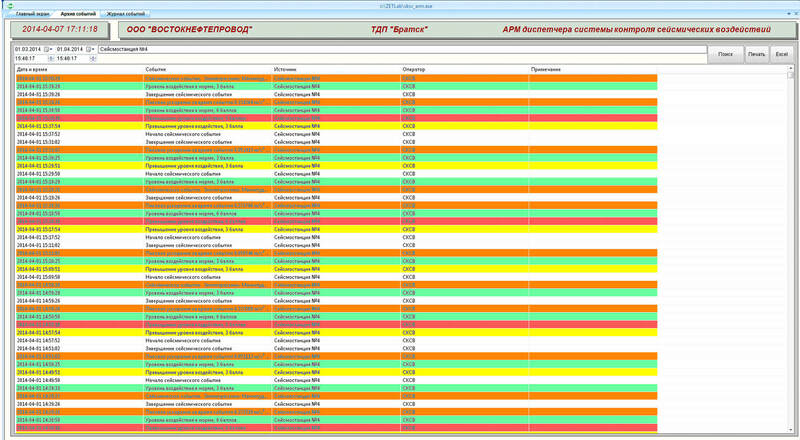 of messages and acceleration source signals within a specified period for each of the seismic receivers. View of long-term trends (day, month, year) for the purpose of dynamics and process development evaluation for all or several signals. 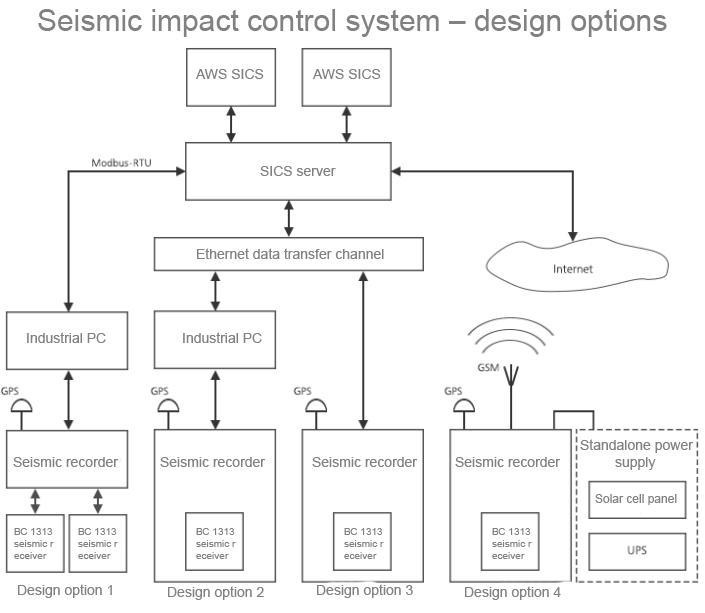 "Seismic impact parameters evaluation module"